For many students, understanding how classroom curriculum applies to the real world is notoriously difficult. In areas like English and Mathematics, many students fall into the trap of regurgitating information without really comprehending the underlying framework. To successfully understand and apply these concepts, students must be able to think critically about a subject matter area and draw conclusions about its importance and application. Generating positive results on end-of-year tests is a function of helping students make real-world connections between what they are being taught in the classroom, and how those ideas frequently impact their own life. Research conducted by famous educator Edward Dale showed that when students are able to apply curriculum to authentic experiences, knowledge retention skyrockets to over 90%. This is 18x more effective than when they simply listen to teachers or watch a lecture. Mastery Education, the developers of Measuring Up, created new state-specific, print instructional materials, which utilize real-world connections to support knowledge retention. Learning objectives are tied into existing background knowledge, which encourages students to focus on real-world connections and applications. This creates a better opportunity for students to internalize the information. 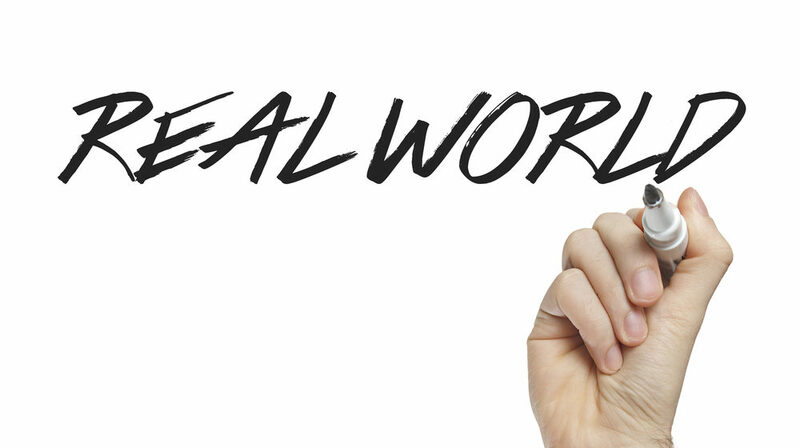 If you are interested in applying this methodology in your classroom, here are 5 tips that support a real-world connection philosophy. Students want to know why something is important to learn. Providing tools for students that help them grasp how the fundamental concepts they are learning will be relevant later on is crucial. Integrating technology with subjects like math can engage students and prove the legitimacy of what they are learning. One school with a significant population of ESL students challenged their Spanish class to create a helpful video that would help new students learn more about the school and culture. This project not only challenged students to use correct grammar and learn new words, but it created a context for how learning a new language could help them build lasting relationships. Using current political and popular issues and news is one way to create a lasting impression with learners. These areas often spark passionate debates that resonate much more than antiquated or abstract examples. The significant interest in entrepreneurship in the United States has created an opportunity for teachers to show how fundamental concepts can enable innovation. When students are tasked with creating products they care about, they are more likely to see how professions like engineering, business, and finance require a solid education. These are just a few ways that educators can connect lessons with real-world experiences. If you are interested in learning more about how Mastery Education is creating materials for the next generation of learners, click here.